I had quite a laugh drawing this one! 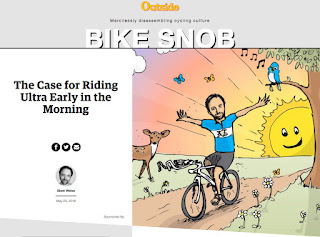 A few inside jokes if you follow Bike Snob's blog. Sweet aero bars, sandals and a "crabon" frame. I personally think it looks extra ridiculous because I so obviously used his author headshot to draw from... as if he always has that exact same expression. 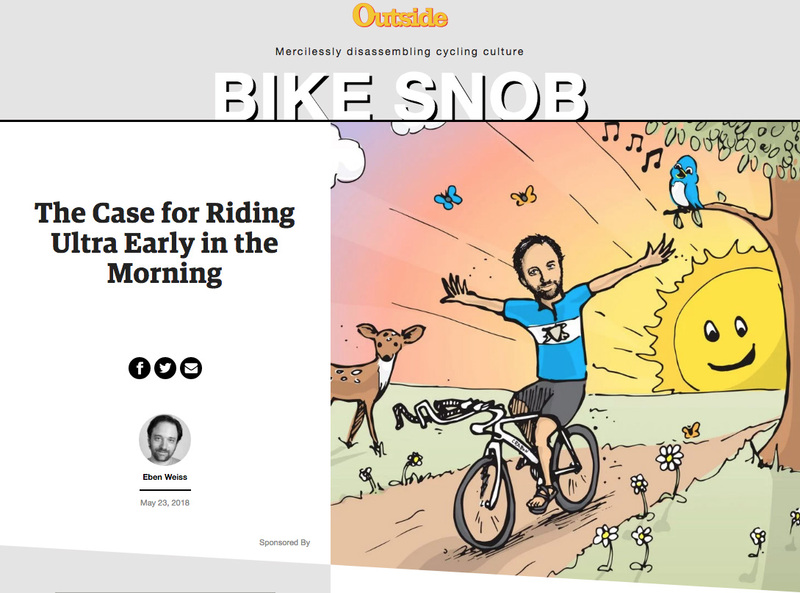 Incidentally I've been getting up and riding early myself, but mostly because my stupid cat has started screaming for breakfast at 5am.